I’ll bet you can’t think of even one person who doesn’t like chocolate, probably because it’s one of the most delicious foods known to man. But, did you know that raw, dark chocolate provides many health benefits along with that decadent flavor? That’s right; you don’t have to feel guilty about enjoying your favorite treat anymore, because you’re actually providing your body with essential nutrients and antioxidants. Dark chocolate also has been found to increase the levels of endorphins and serotonin in your brain, which can help you relax and de-stress from your day. However, when you buy it, check the cacao or cocoa percentage carefully. The highest quality dark chocolate contains around 70-99% cacao or cocoa. Try to find raw, organic chocolate as well, without added sugar, chemicals, or milk products. These will only counter the health benefits otherwise found in dark chocolate. So, what other benefits does dark chocolate provide? 1. It’s a natural stress reliever. Dark chocolate contains so many antioxidants, which have a calming effect on the body and can even act as an antidepressant. A study performed by scientists in Switzerland actually confirmed this after giving 30 people with reportedly high levels of stress 1.4 oz of dark chocolate for a two week time period. The scientists took urine and blood samples at the beginning of the study, at the halfway point, and at the end to measure the results. They found that the levels of stress hormones cortisol and catecholamine had lowered significantly by the end of the study. So, if you’ve been overly stressed dealing with life’s pressures lately, grab a bar of dark chocolate. It might just do the trick! 2. It lowers cholesterol levels in the body. In addition to lowering stress levels, it can also reduce the “bad” (LDL) cholesterol within the body. This type of cholesterol can clog up the veins and inner walls of the arteries, which can therefore lead to high blood pressure, heart disease, and other health ailments. Dark chocolate contains a very important naturally occurring chemical called flavonoids, which aid in lowering bad cholesterol. In addition, chocolate has been found to raise the “good” (HDL) cholesterol within the body. According to a study published in the journal Gut, people with higher levels of HDL cholesterol had a much lower risk of developing colon cancer. Having a healthy amount of good cholesterol also protects against heart disease and other serious health problems. 3. It can boost your brain power. If you can’t seem to concentrate or focus on things for long periods of time, chocolate can come to the rescue once again. 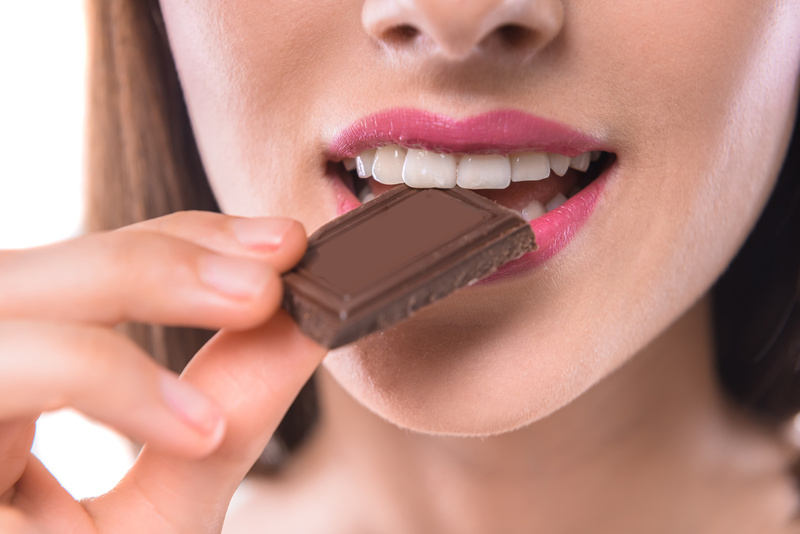 A study performed by scientists at the University of Nottingham found that eating dark chocolate can increase blood flow to the brain for up to three hours after consumption. This increase in blood flow consequently improves short-term memory, attention span, concentration abilities, response time, and memory recall. 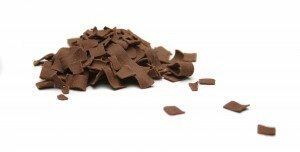 The same study also suggested that the cocoa flavanols found in chocolate could enhance brain function for those who suffer from fatigue, sleep deprivation, and could even slow the effects of ageing. 4. Chocolate contains a very high level of antioxidants and essential minerals. Dark chocolate is most definitely considered a superfood, containing more antioxidants than almost any food in the entire world! Antioxidants act as a shield from free radicals that can cause cancer, so chocolate serves an important purpose, especially with all the cancer-causing chemicals and devices we use today. Chocolate contains many essential minerals as well, such as iron, magnesium, copper, manganese, phosphorus, zinc, selenium, and fiber. 5. It can lower the risk of heart disease. According to the EPIC-Norfolk study, people who ate more chocolate over a 12 year span had an 11% lower risk of CVD (cardiovascular disease) and a 25% lower risk of death associated with that disease. They also had a 23% lower risk of suffering a stroke and a 9% lower risk of hospital admission. Do you love chocolate as much as we do? Share your love for this little bean below!